If you're totally confused by acronyms such as HTML, CSS and FTP - you need a Content Management System, or CMS. Our CMS is a proprietary system that has been developed by us from scratch, with non-technical end users firmly in mind. The interface is extremely simple to ensure that only the key functions are made available to staff with editing responsibilities, with more complex features visible to administrators or site owners. 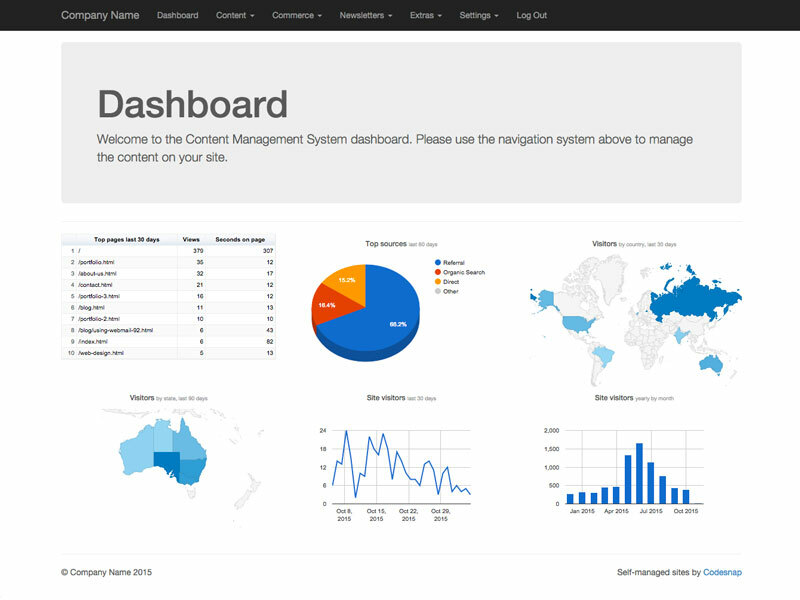 Please contact us to request access to an online demo of our content management system. 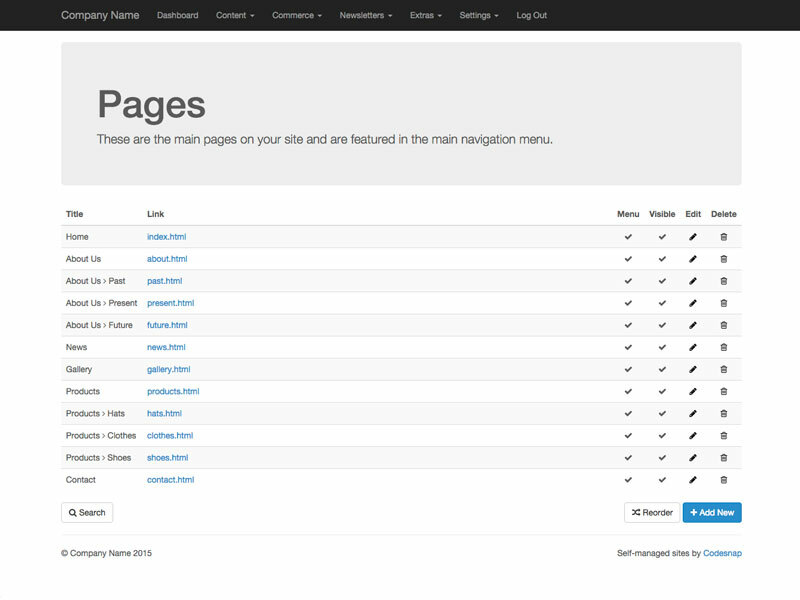 A CMS puts you in control of your own site - you can make changes as often as you like at no cost to you. Whether you're on holidays or on the road, if you have internet access you can make changes to your site. Owners, editors, sales staff, developers - set up access controls based on job function and roles. Manage five pages or 500, write blog entries every day or once a year - it's up to you. We provide telephone and email support to ensure that you are making the most of your CMS. 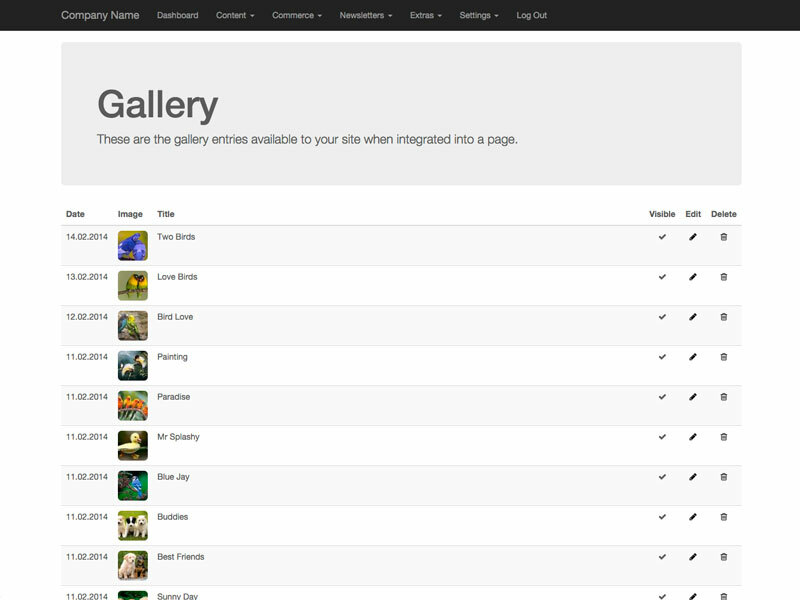 We continue to work on our CMS, rolling out new features and improvements via regular updates.